I was preparing to write a post this morning about the Los Angeles Chargers‘ continued dismal home-fan attendance — yesterday’s game was overwhelmingly attended by fans of the visiting Philadelphia Eagles — but after waking up to news of the killing of at least 50 people in Las Vegas by an assault-weapon-wielding mass murderer, on top of the ongoing catastrophe in Puerto Rico and people in Catalonia being assaulted with police truncheons for attempting to vote, I just can’t right now. 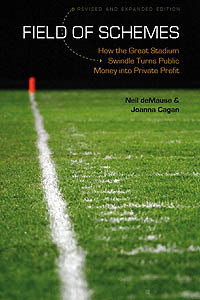 If you really must have something to read here to take your mind off of the above horrors, here’s a link to my Guardian article on Friday about how the Atlanta Falcons‘ new stadium shows the need to carefully examine sports deals, or else team owners will find ways to sneak in hundreds of millions of dollars worth of subsidies while no one is looking. It’s a cheery romp!